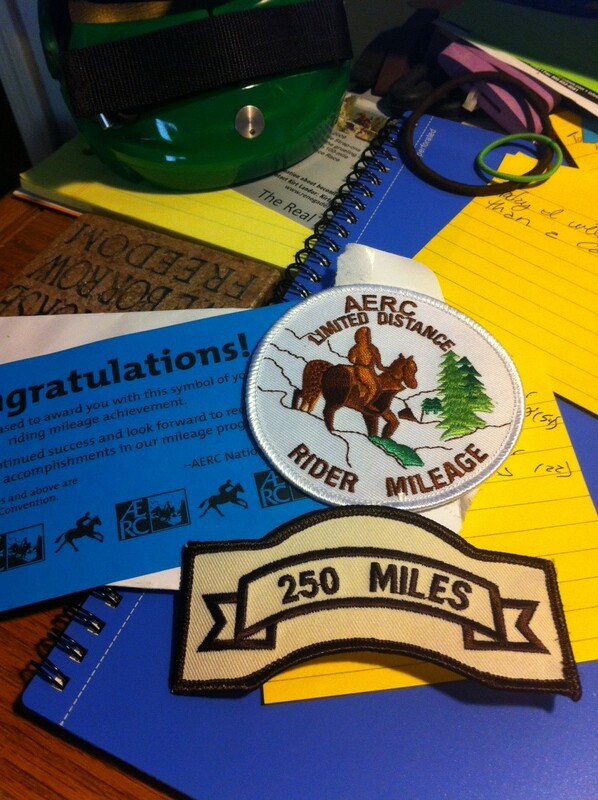 First Limited Distance mileage patch! This one was 8 years in the making, my first LD ride being the Man Against Horse 25 in 2005 on Mimi. The really cool thing about my LD patch has been how many different horses I’ve had the chance to ride to get to that point. Mimi did about half of those miles, but the others have been on other people’s horses, and it’s all added up to 250 miles of fun! To me, I get so much personal satisfaction out of finishing 50s, and my ultimate goal is 100s…but I still have a blast doing LDs. So thanks to Mimi, Harley, Beamer, Thor, Kody, and Liberty for some fun times and great rides! ← the road is never easy. it was never meant to be easy. You are rackin up the miles lately! Congrats on the patches, they're hard-earned! Those are really nice rewards! Any ideas for displaying them? Something special to sew them to? I'm not sure yet. They're iron-on patches, so theoretically they could go on a jacket…but I don't see myself wearing it. I'd really like to come up with some kind of shadowbox display or something, especially once I eventually get that Tevis buckle.